Summer is officially here and everyone needs a good denim jacket for the season. 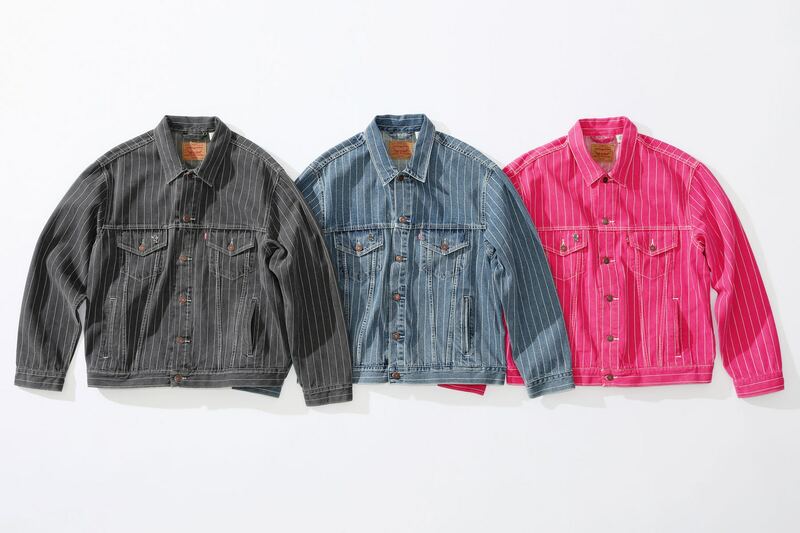 Thankfully, Supreme and Levi have teamed up for a little collab that gives you some options with three colorways of the right denim look. The two brands previously teamed up for a Fall/Winter drop of colorful snakeskin prints and this season they are doing a low-key pinstriped look that comes in black, blue and pink. 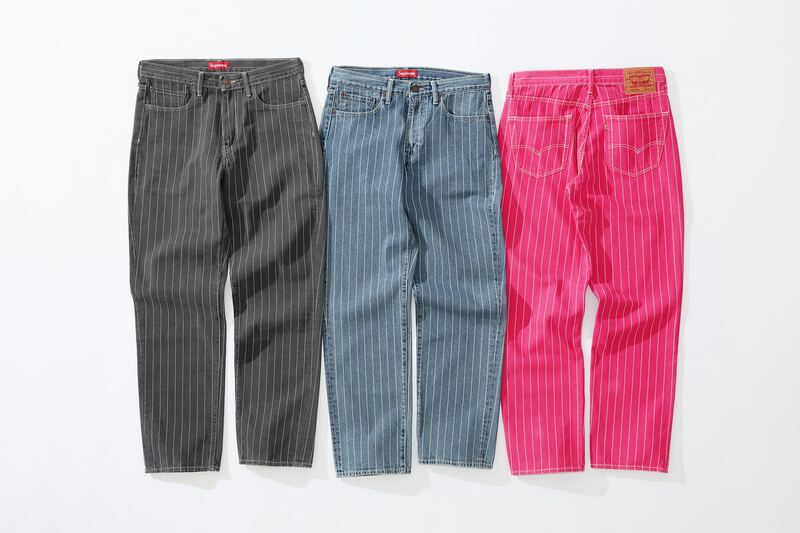 The offerings come with matching pants - stonewashed pinstripe 550 Jeans. The capsule is officially available as of Thursday, May 24th at Supreme's online store and the New York, Brooklyn, Los Angeles, London and Paris stores. Peep the clothes below and get a feel for the vibe.